The Voltron Force is preparing to form Voltron yet again. 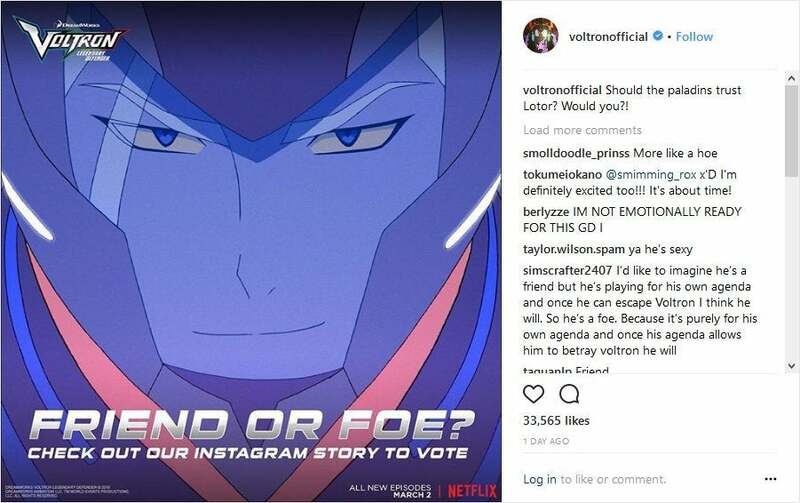 Netflix and Dreamworks Animation have revealed the premiere date for Voltron: Legendary Defender Season Five. It seems like Voltron fans have only about a month to wait until there series return on Netflix. There’s currently no word on how many episodes the new season will be consist of. The first two season of Voltron: Legendary Defender ran for 13 episodes each. Seasons Three and Four ran for seven and six episodes respectively, with only a short break between releases. Voltron: Legendary Defender is a reboot of the Voltron franchise from DreamWorks animation and World Events Productions. The series is animated by Studio Mir, the studio that animated most of the episode of The Legend of Korra. The series focuses on the Voltron Force made up of the five Paladins of Voltron: Shiro, Lance, Pidge, Keith, and Hunk. They’re joined by Princess Allura and her royal advisor Coran in battling the tyranny of the Galra Empire ruled by Lord Zarkon. The series has taken several twists and turns over its four seasons so far. Zarkon was seemingly defeated and replaced by his son, the exiled Prince Lotor. However, when Prince Lotor went rogue, Witch Hagar resurrected Zarkon, who banished his son once again. At the end of season four, Lotor came to the aid of the Voltron Force and made an offer of an alliance. Fans are eagerly awaiting the show’s fifth season to find out how the Voltron Force responds. There have been changes within the Voltron Force as well. When Zarkon was defeated, Shiro, the Voltron Force’s leader, went missing. Keith was forced to step up and take over piloting the Black Lion and leading the group. Lance took over Keith’s red lion and Allura became the Voltron Force’s fifth pilot, replacing Lance in the Blue Lion. When Shiro was recovered, Keith took the opportunity to reduce his commitments to Voltron in favor of pursuing his own recently revealed Galra heritage as a member of the Blade of Mamora, a resistance group within the Empire. Shiro once again pilots the black lion, but things are still uneasy within the tight-knit group. Look for new episodes of Voltron: Legendary Defender on Netflix on March 2nd.